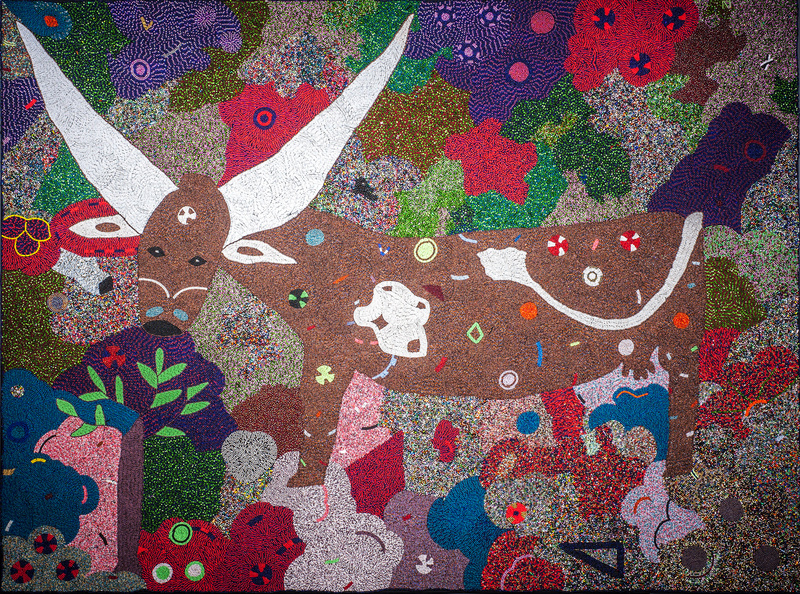 This exhibition showcases a new form of bead art, the ndwango (which translates to “cloth”), developed by a community of women living and working together in rural South Africa. 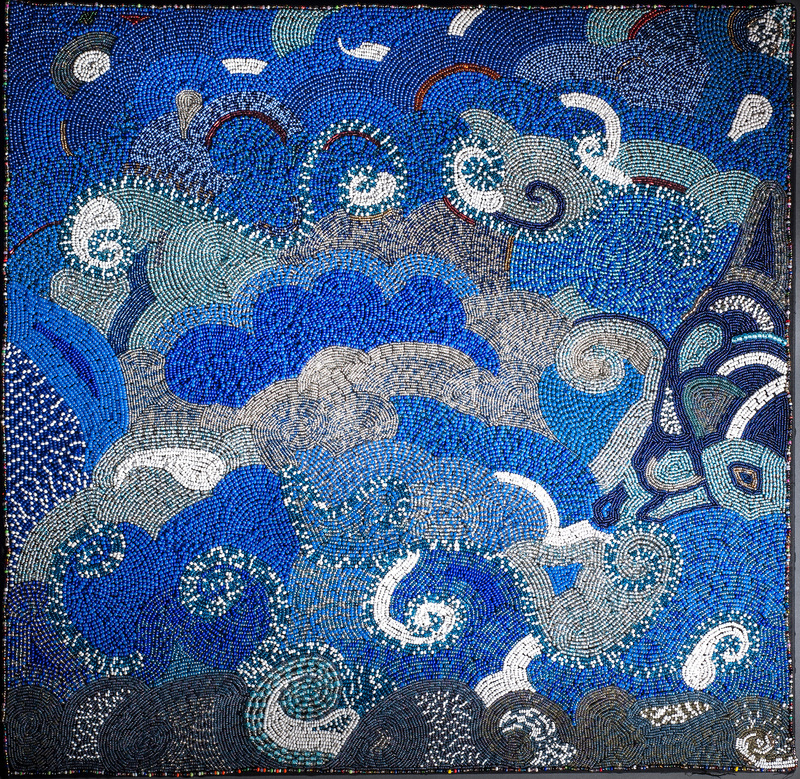 The Ubuhle artists use black fabric, reminiscent of the headscarves and skirts they wore growing up, as a canvas for intricate beaded works of art. Ubuhle [pronounced Ub-Buk-lay] means “beauty” in the Xhosa and Zulu languages, and eloquently describes the shimmering quality of light on glass that is present in the ndwangos. Ubhule Women: Beadwork and the Art of Independence was developed by the Smithsonian Anacostia Community Museum, Washington, DC in cooperation with Curators Bev Gibson, Ubuhle Beads, and James Green, and is organized for tour by International Arts and Artists. Nontanga Manguthsane. African Crucifixion, n.d.
Bongiswa Ntobela. 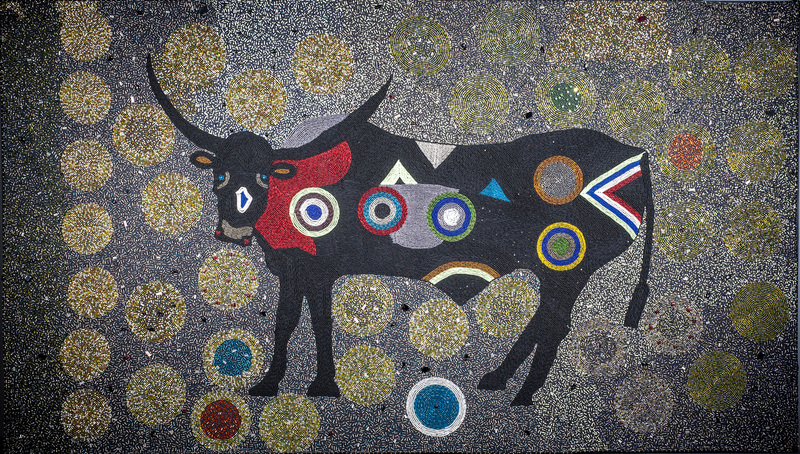 Funky Bull, 2006. Glass beads sewn onto fabric. 49 1/4 × 84 in. 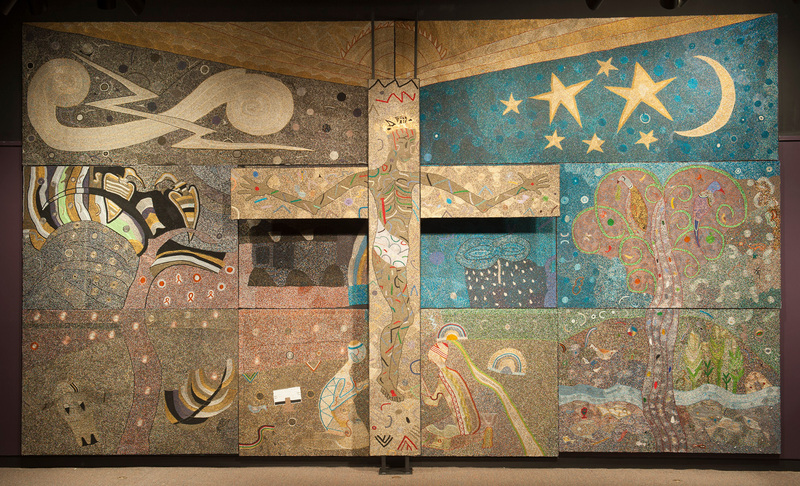 (125.1 × 213.4 cm). The Ubuhle Private Collection. Thando Ntobela, South African. 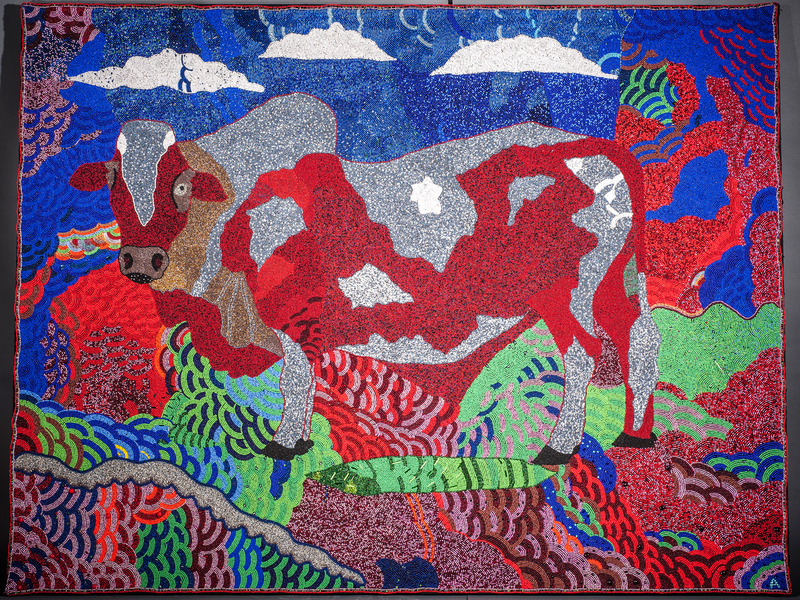 Ankoli Bull, 2013. Glass beads sewn onto fabric. 50 1/2 × 67 7/8 × 2 in. (128.3 × 172.4 × 5.1 cm). Private Collection. 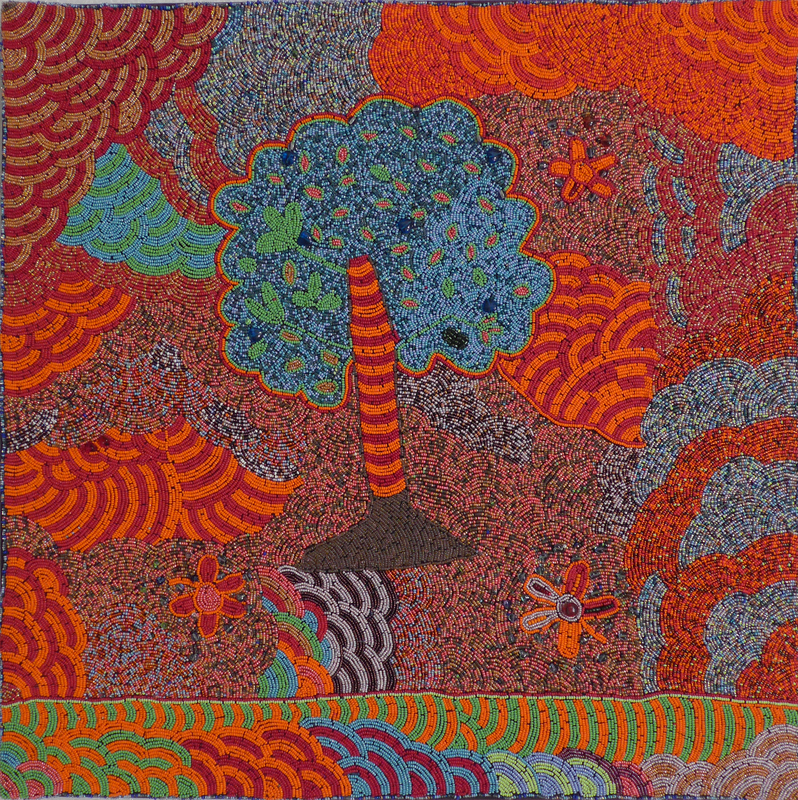 54 × 2.5 cm). The Ubuhle Private Collection.